Childish Gambino A.K.A Donald Glover is an American record producer, singer/songwriter, rapper and DJ who is also an actor and comedian. He performs music under the name Childish Gambino and DJs as MCDJ. He originally gained attention for his work with Derrick Comedy and Tina Fey who hired him for the well known NBC sitcom ’30 Rock’. He has also featured in the series ‘Community’ and FX series ‘Atlanta’. Having bagged Primetime Emmy Awards, Lead Comedy Actor award and Outstanding Director award amongst many others he has also appeared in many movies. These include ‘Magic Mike XXL’, ‘Spider Man-Homecoming’ and the his latest appearance in ‘Solo: A Star Wars Story’. On the music front he has multiple self-released albums and mixtapes which he released through Glassnote Records (2011). His first album ‘Camp’ was out in 2011 and by 2016 he released his third album ‘Awaken My Love!’ featuring the single ‘Redbone’ which peaked at number 12 on the Billboard Hot 100. 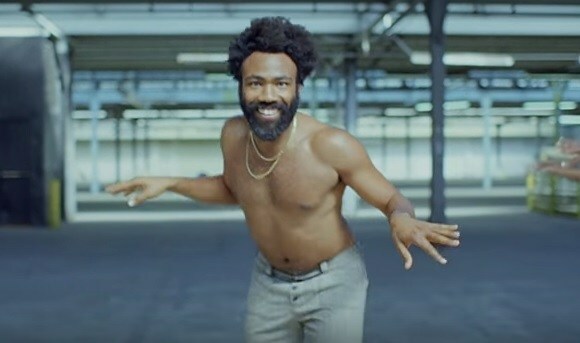 He is currently holding Billboard’s Hot 100 No.2 position with the track: ‘This is America’. The track peaked at No.1 a couple of weeks a go becoming the first top ten entry and number one single in the USA. It is also worth mentioning that ‘Redbone’ earned Childish Gambino a Grammy for ’The Best Traditional R&B Performance’.